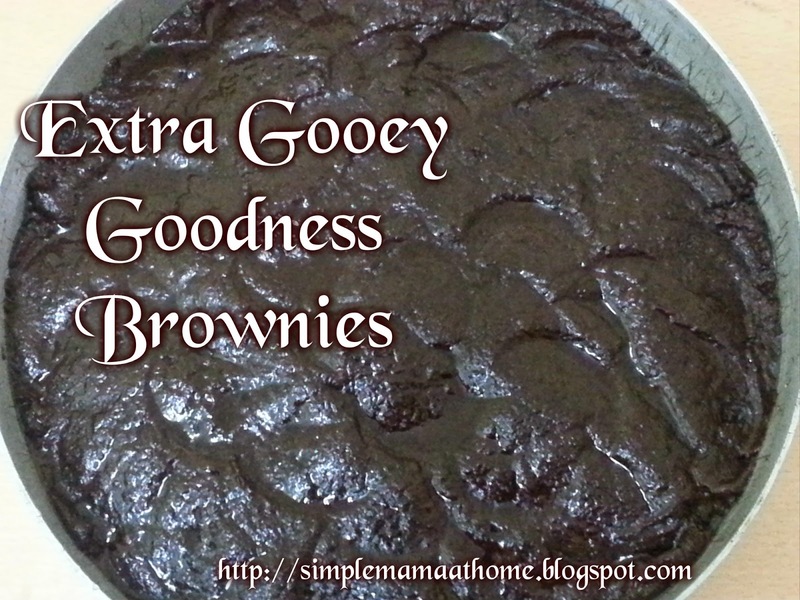 Here is a very quick and easy brownie recipe that is very gooey yet so good! This recipe is also egg free, making it perfect for those times you may be out of eggs or have someone in your home with an egg allergy. It is great when you happen to have a craving for chocolate and don't have any eggs on hand. 1. Preheat oven to 350 degrees F (175 C). 2. In a large bowl, add the flour, sugar, cocoa, baking powder, and salt. Stir. 3. Pour in water, vegetable oil, and vanilla and mix until well blended. 4. Spread evenly in a 9 X 9 baking pan. 5. Bake for 25 to 30 minutes until the top is no longer shiny. 6. Let cool for at least 10 minutes before cutting into squares. Enjoy with a glass of cold milk, a cup of tea, or coffee! They look so yummy! thanks so much for sharing!! Thank you for stopping by. I love these brownies as they do not dry out. They stay nice and moist. Sounds yummy! Thanks so much for sharing this. Egg-free recipes are always good to have on hand! Thank you for stopping by! Egg-free recipes have saved me more than once. I just stopped by yours and returned the follow. I make a lot of egg free cookies. 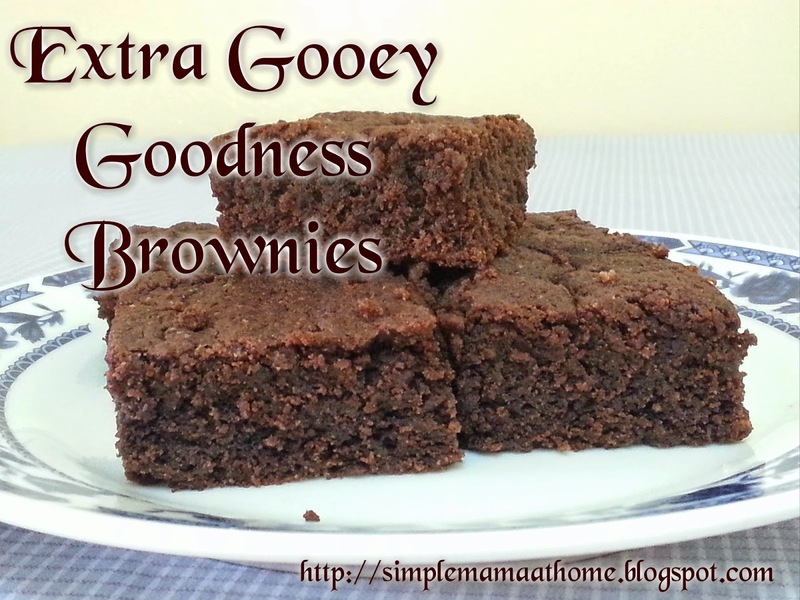 They have great flavor and are nice when I run out of eggs :) Your brownies look delicious! These brownies taste just as good, actually better than the ones with eggs. Sounds delic ! 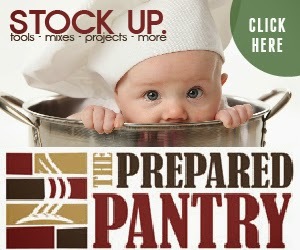 And the best thing is we have all the ingredients at home already ! thanks for linking up! looks great! Gooey. That's how a brownie should be to me. I don't like the cake-like brownies. I need a little gooey-ness. No eggs. That's different. I was eating cake-like ones all the time prior to trying this gooey one. I have not made the cake-like ones since. These look yummy! I feel a need for chocolate now ;) I might have to try these. Thanks for sharing! I found your post on Mom's Monday Mingle. Thank you for stopping by and leaving a comment! These brownies are very yummy. I tried finding your blog to see whether or not I am following you however there was nothing on your Google Profile when I clicked on it. Please let me know. Thank you for stopping by and commenting! I get these moments where all I want is chocolate and then other times I have no desire for it. Hope you were able to get some! so yummy!! I've to try your recipe, my hubby loves brownies! I'm linking from all things pretty! Thank you for stopping by and commenting! This is a yummy brownie. Thank you for the follow! I have followed you back via G+, Twitter, and Facebook. Thank you so much Theresa!! !